If you’re like me, you’re never going to deploy Windows CRAP Extreme Edition (Vista) on anything, ever. I tried to blog about having to deploy Vista to a user here on a new notebook but couldn’t (I have received complaints that when I swear on the blog it blocks some people out from viewing the site, suckers). Anyway, the bottom line: don’t. If you ARE stuck with Vista, consider upgrading to XP. You’ll thank yourself, and I’ll thank you because you won’t be calling me for help. I’ve worked with Vista enough to agree completely with this video. I had to deal with an issue yesterday of how to get a very computer illiterate person in my workplace setup to be able to FTP files to another company who is doing work for us. While I would not normally recommend anyone to use the built-in FTP functionality of Internet Explorer, at the time this seemed like the simplest solution; create shortcut/bookmark, click on it & BAM! copy/paste your files. After about 20 minutes of toying around, I realized IE7 adds a step to this process – it no longer automagically changes from an IE window to a file explorer window (think “My Computer”) when using FTP. Crap! Note: Windows may or may not remember the login information provided in step 2 – my testing was not consistent. Enter your user name and password if you are prompted with the login box again. I’d really like to punch the Microsoft developer that came up with this “security feature”. Over the past 2 weeks or so since the official long awaited (read: massively delayed) launch of Microsoft’s new flagship OS, Windows Vista, I’ve noticed an influx of questions at work regarding the “should I upgrade” question. To save time & effort here is the short answer: don’t do it. The only “wow” that “starts now” (their new slogan, the wow starts now is horrible by the way) is the amount of resources this beast takes do do the same thing XP does perfectly well; and if you don’t have a beefy video card you’re screwed. Vista delivers no really revolutionary new features as an incentive for upgrade. And to top it off, the software asks you CONSTANTLY “are you sure you want to do that”. The bottom line is that I’ve had several friends try Vista, and they all went back to Windows XP after an hour or 2. Don’t waste your time or money yet. Apple picked up on Vista’s “new & improved” security features in this ad. Love it! I had to reload my machine this past weekend. I was very proud of the fact that it was going on 2.5 years and Windows XP SP2 was still as solid as a rock. You can imagine my disappointment Sunday morning when I discovered my machine hopelessly infected with some kind of combination popupware/virus. Being the IT dork that I am I spent a good hour trying to clean it up, but the damage was done & all I could do was admit it would be safer just to reload. The first step was to backup what I need & do a quick list of what I had installed. While I do keep all of my very important data on a separate RAID drive, I did have several gigs worth of stuff on my desktop (including some Jazz selections Christa and I spent hours selecting with our friend Ryan for the wedding) that while I could get away with losing, would just just be a pain to recompile. Things started to get really complicated at this point and required another cup of coffee to mull over… The virus piece started producing automatic shutdowns every 1 minute, and if I aborted that would render the machine hopelessly useless by killing off all kinds of services requires to make anything happen in windows. Safe mode should offer me a method to get in and move the gigs of files I need to a backup external firewire drive, right? BZZZT!! Safe mode by definition only loads up the minimal subset of drivers needed for Windows to operate. So how the crap was I supposed to back my stuff up? Luckily being an IT dork pays off here as I knew I could run a windows repair without having my desktop deleted, and hopefully fix stuff enough to get in & throw everything on my firewire drive. By now I’ve managed to fight with Windows for almost 2 hours and have only gotten to the point that I could finally reload the machine. Fast forward another uneventful 2 hours of watching Windows XP install configure and prepare to run, having to track down drivers, update to SP2, and then install the remaining 62 critical security updates. So for 4 hours into this little project and all I’ve got to show for it is a fresh reload of Windows. Super! Add another few hours to reinstall the rest of the required set of apps, all my assorted XP tweaks, and other miscellaneous tricks, and you’ve got a full day of doing not much else but waiting for things to happen on my computer. I had to reload my machine yesterday (story here). It was not fun. In the process of installing applications I came across a peculiar issue with Microsoft’s .Net Framework which didn’t appear to have much documentation, so I’m documenting it to save others with this problem time & effort. 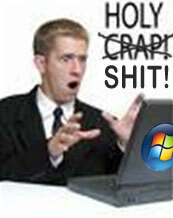 In reloading my machine there were a few applications that required the .Net Framework 2.0 from Microsoft. I then attempted to install Sony’s Sound Forge v8 to find that it will only run using the 1.1 version of the framework. So there’s a problem: different applications requiring different versions of the .Net framework. I already had 2.0 installed, could I install 1.1 and be able to run all the apps I need? The answer was suprisingly simple: YES!